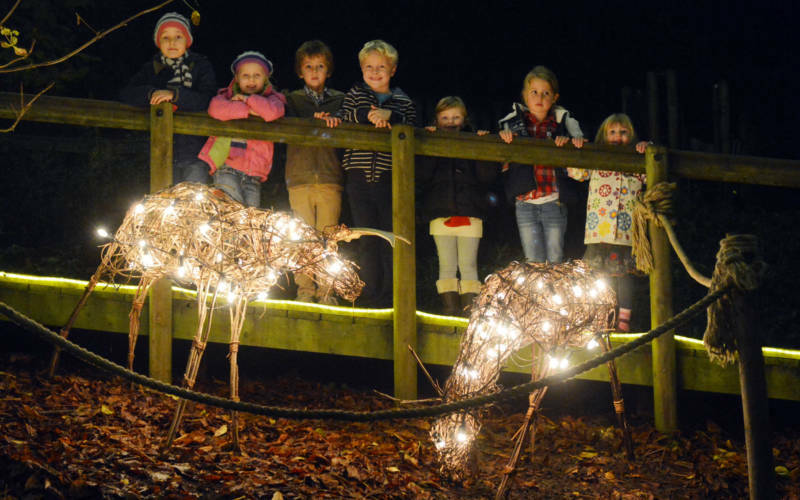 Take a stroll down our illuminated woodland trail this Christmas. 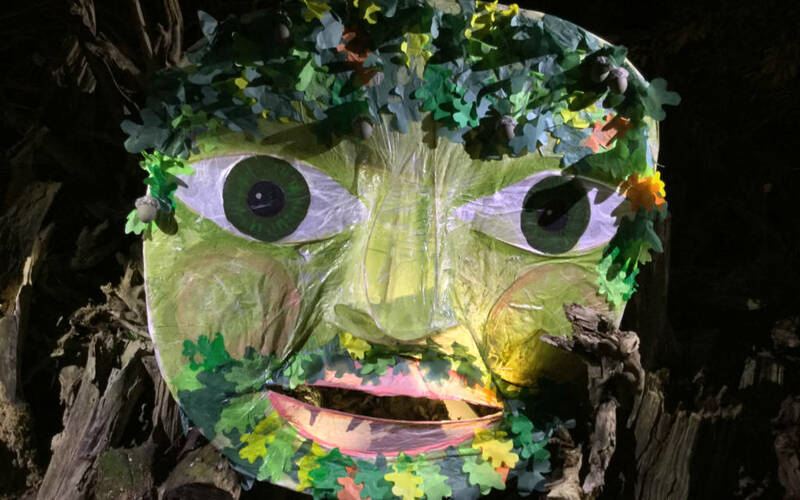 Follow our magical illuminated woodland trail down Miss Alice’s Drive where willow lanterns have been created on a theme inspired by the traditional English folk tale, the ‘Battle of the Oak and Holly Kings’. 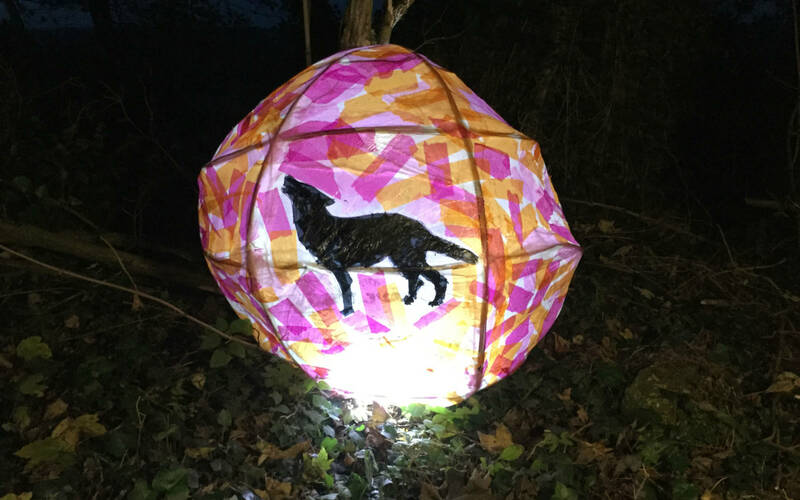 Made by local school children the lanterns highlight native species of animals that have lived or still live in England and that are sacred in English folklore. 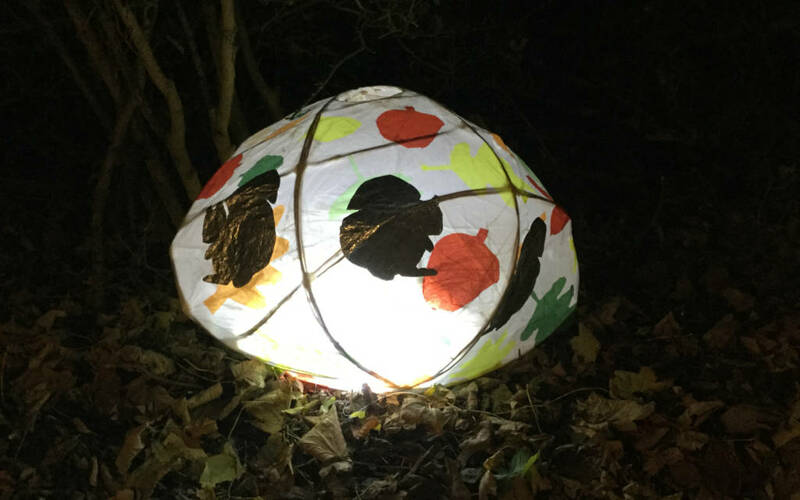 Follow signs for the Summer House and top of the woodland playground (just beyond the Wigwam cafe) and you’ll begin the walk through a specially commissioned artwork by light artist Anna Whetstone. 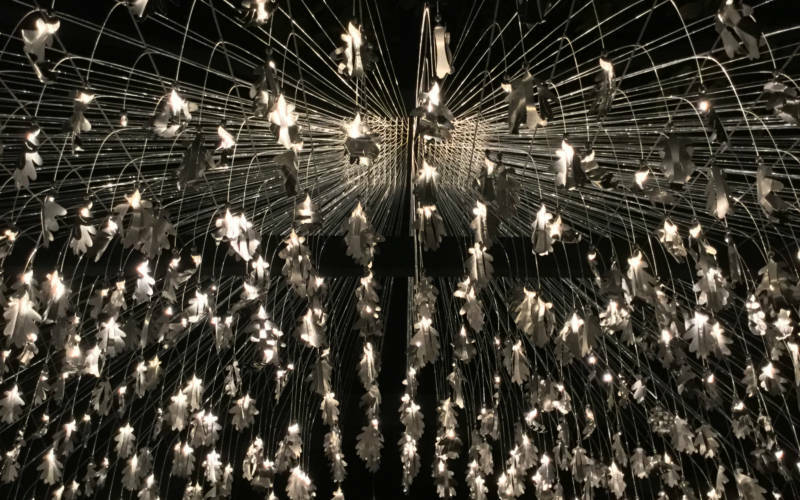 She has created an archway of individually lit metal oak leaves engraved by children with their name and their hope for the future, entitled ‘From Little Acorns Mighty Oaks Do Grow’. 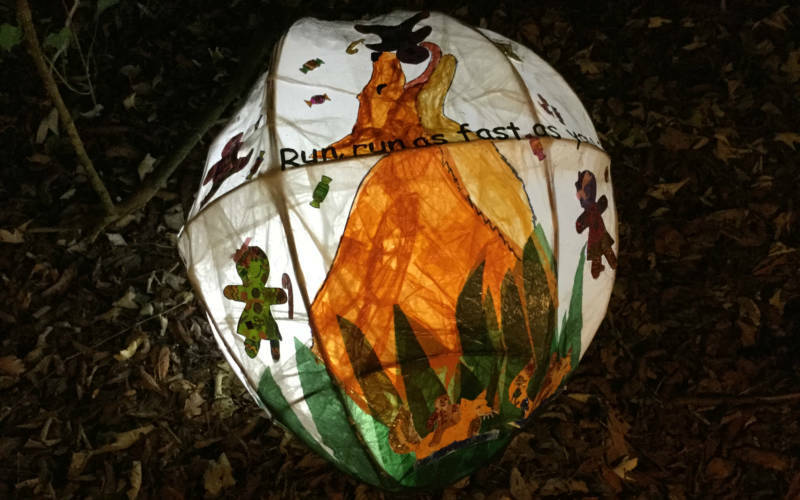 You can also spot Bauble lanterns made by 1st Little Gaddesden Brownies, 1st Steeple Claydon Brownies and Waddesdon family kiddies. 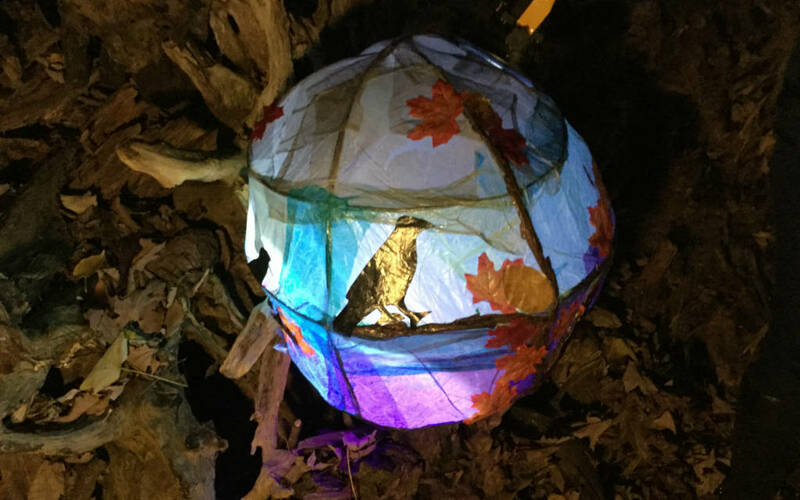 Go to the ‘Willow Lantern Walk’ photo album on our Facebook page and like the photo of it. Those with the most likes at the end of the Christmas season is the winner and the school will receive a trophy. All of the lanterns that we have been entrusted with are all so incredibly different, and we are endeavouring to keep them in their best possible condition for the duration of the Christmas season at Waddesdon. Obviously we are subject to the vagaries of the weather and we want to keep the lanterns as protected as possible. This means that on occasion the lanterns may not be on display, or may be covered. The lanterns will be lit between 4pm and 6pm, unless it is a day where you are booked to visit as a school. 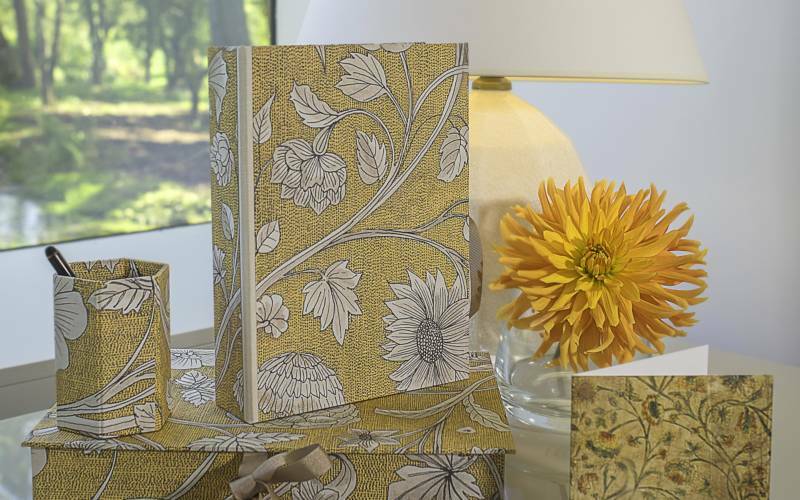 All of the lanterns in all their glory can be seen on our Facebook page.